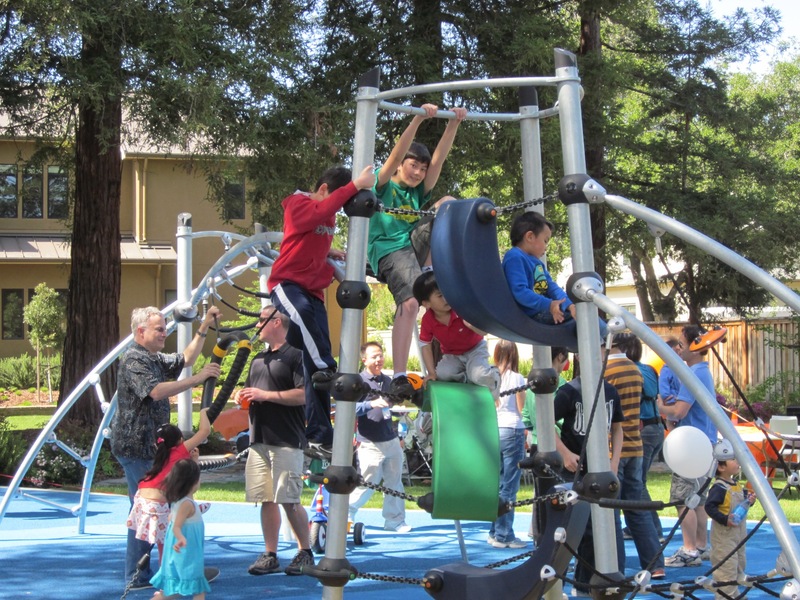 We celebrated our Redwood Gate park opening with a homeowner â€œMeet and Greetâ€ party and it was a HUGE success. We were thrilled at the turnout – over 50 people in attendance.Â Wow what a great party! Homeowners that recently closed escrow plus homeowners excitedly waiting to move into their new homes joined in the fun. Children enjoying their brand new play structure! The party started at 1pm – and…homeownerâ€™s stayed until well after 4 – socializing, eating, and enjoying the sunniest day of the yearâ€¦.we could not have asked for better weather! The amount of food was definitely a gluttons delight and I must say almost all of it went.Â We provided delicious delights bitesÂ Dim Sum, Â including pot stickers, shiu mie, shrimp dumplings, Chinese egg custard, plus beverages and other snacks.Â The homeownerâ€™s brought cake, cookies, fruit, chips and dip, veggie chips, and other special treats. All the children in the community were excited to meet one another and climb the play structure for the first time. Our homeownerâ€™s were asking us when we are planning the next party they had such a nice time, and we’ll definitely enjoy another party later this year when more homeowners have moved in! Redwood Gate offers a stunning Â½ acre park, with childrenâ€™s play structure, picnic tables, BBQ area, flagstone pathways all bordered by beautiful Redwood trees. Come see what all the buzz is aboutâ€¦.Visit Redwood Gate Today!